Lane splitting - should it be legal? There is a nice discussion going on over at AutoblogGreen regarding the act of lane splitting, which is when a motorcycle rides the dotted line in-between lanes. Lane splitting is a common practice in much of Europe, but here in the States it's only legal in California. Golden State law dictates that a motorcycle is only allowed to split lanes when traffic is moving very slowly or stopped and "must be done in a safe and prudent manner." 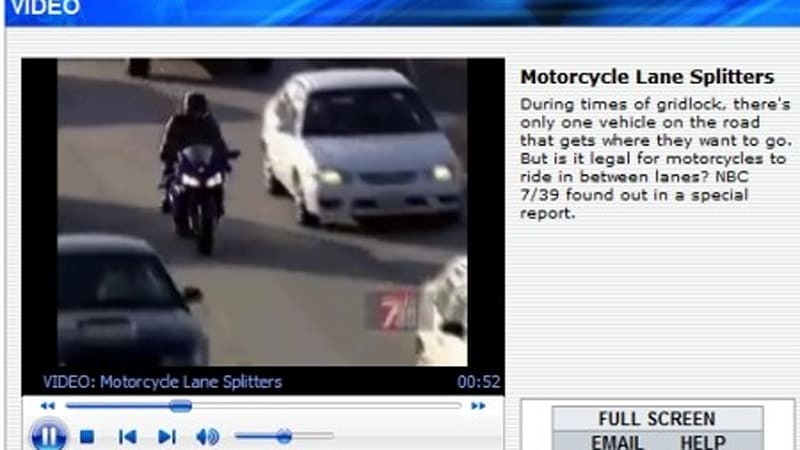 NBC San Diego ran a little news piece on lane splitting and found that some drivers in California weren't even aware that it was legal, and others dislike the practice.